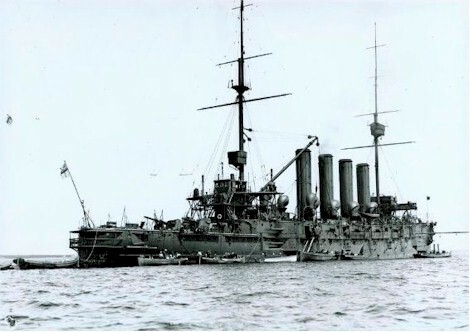 A good deal more imposing than Rainbow, Niobe had served in the RN from 1898 to 1910, one of eight sisters of the Diadem class. 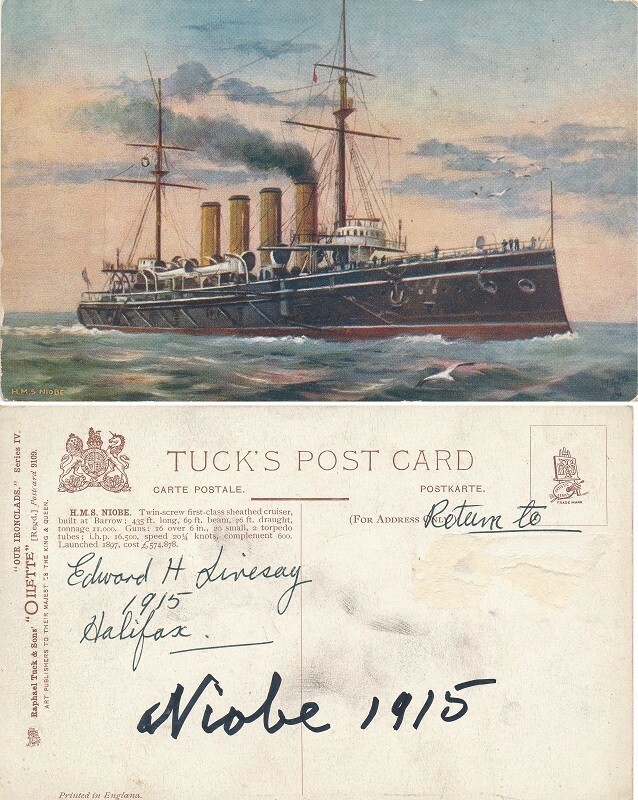 She was commissioned in the RCN on 06 Sep 1910, at Devonport, and arrived at Halifax on 21 Oct 1910. 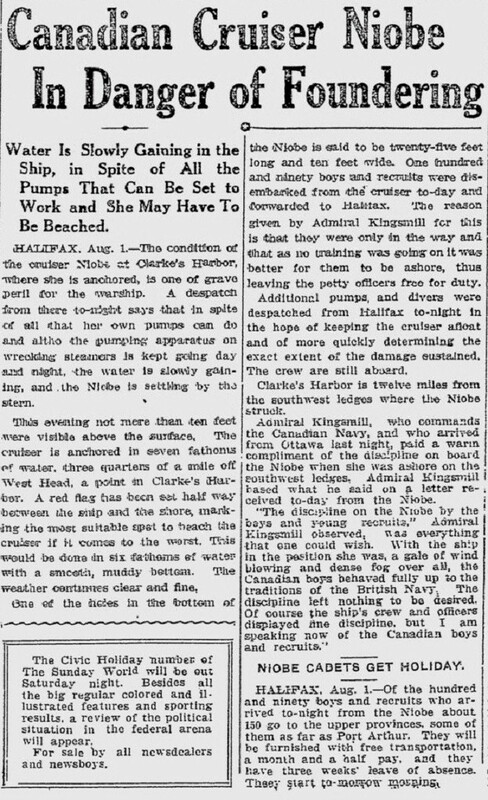 Niobe was nearly lost during the night of 29-30 Jul 1911, when she went aground off Cape Sable, necessitating repairs that were not completed until the end of 1912. A court martial was held in Nov 1911. 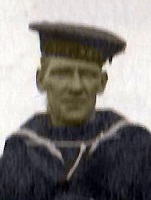 Lt Lord Allister Graham who was officer of the watch up to approx 15-20 minutes before the grounding, was found guilty of causing, or suffering to be caused, the stranding of HMCS Niobe on the dangerous ledges of Cape Sable. 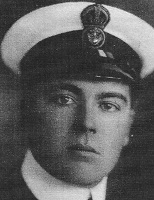 The Navigating Officer, Lt Charles White, was found guilty of suffering, through negligence, the Niobe to strand on the treacherous ledges off Cape Sable.  he was severely reprimanded and dismissed from the ship. 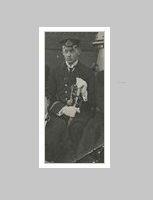 The Commanding Officer, Cdr William Balfour MacDonald, RN, was tried and found not to be negligent in the stranding of HMCS Niobe. 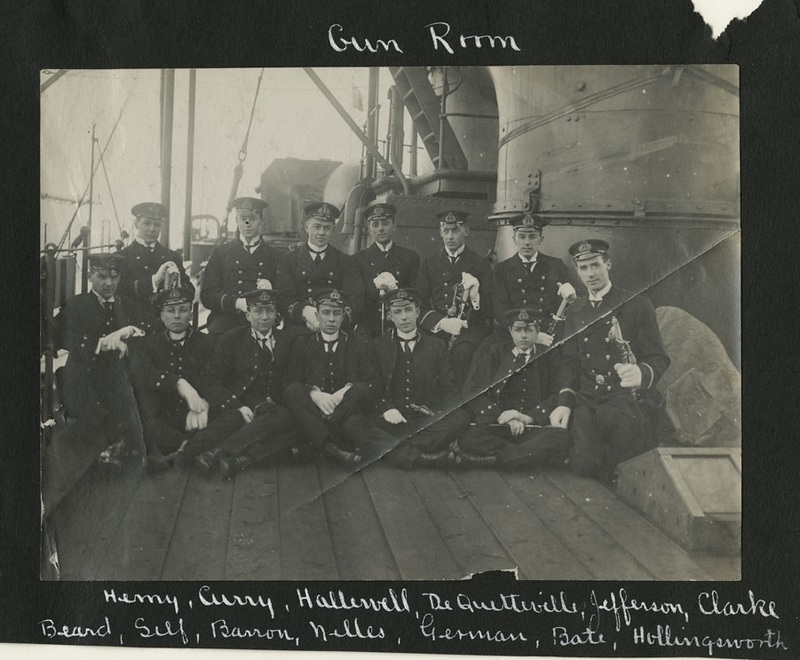 In the fall of 1914, after the ravages of two years' disuse had been made good, she joined the RN's 4th Cruiser Squadron on contraband patrol off New York. 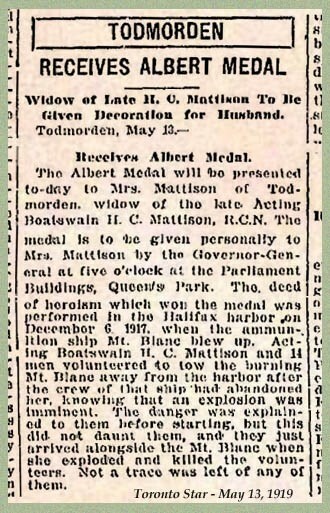 Worn out, she returned to Halifax on 17 Jul 1915, never to put to sea again. With her funnels near collapse and her engines worn out, Niobe was paid off on 06 Sep 1915 and became a depot ship for the rest of the war. 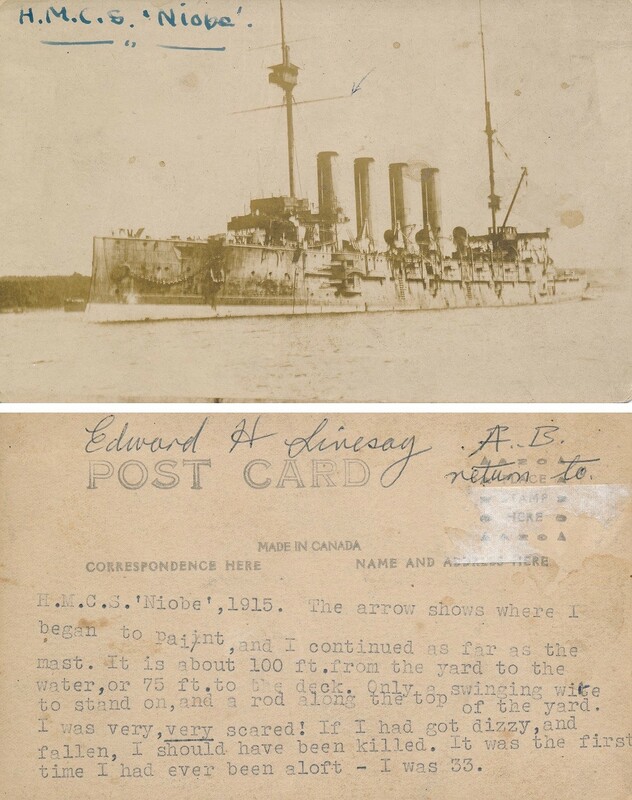 On 06 Dec 1917 she was moored 700 yards from the ammunition ship Mont Blanc, which caught fire after a collision with the Belgian relief ship Imo in Halifax harbour. 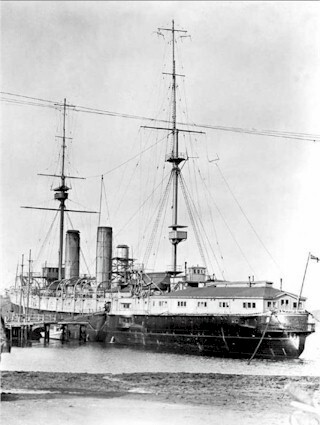 Niobe was the first ship to give the alarm after collision, and Warrant Boatswain Albert Mattison and six ratings left Niobe and boarded the Mont Blanc in an attempt to scuttle her. They all died in the resulting explosion which destroyed much of Halifax. 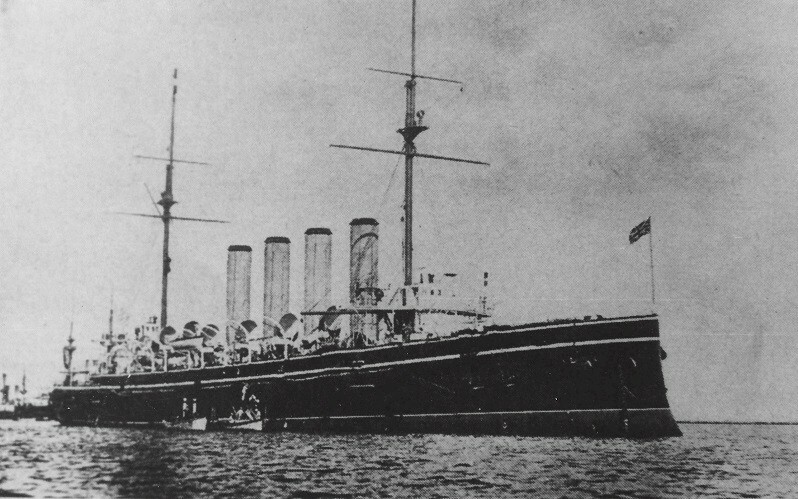 Niobe was extensively damaged in the explosion and her superstructure and funnels were wrecked. Numerous fires were started on board which destroyed the ship's records. 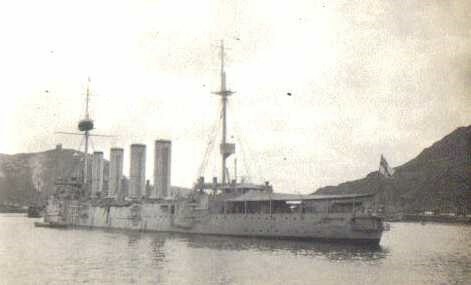 Niobe was repaired and continued to serve as a depot ship until 1920 when she was sold for scrap. She was broken up at Philadelphia two years later. 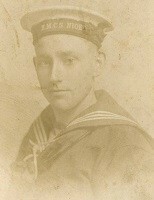 Drafted to Niobe 07 Jan 1915 as Midshipman, RCN. 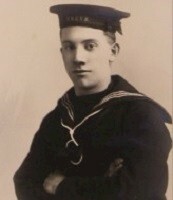 while CO of HMS/m D3. 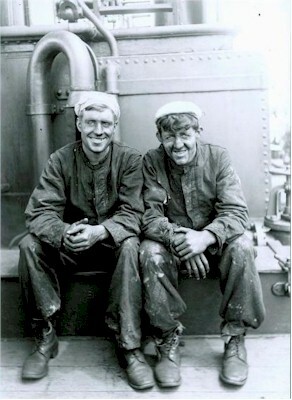 Two stokers enjoy a few moments on deck, away from feeding coal to the boilers used to power HMCS Niobe's two large steam engines. Niobe's 30 boilers needed large gangs of stokers to keep them supplied with coal. 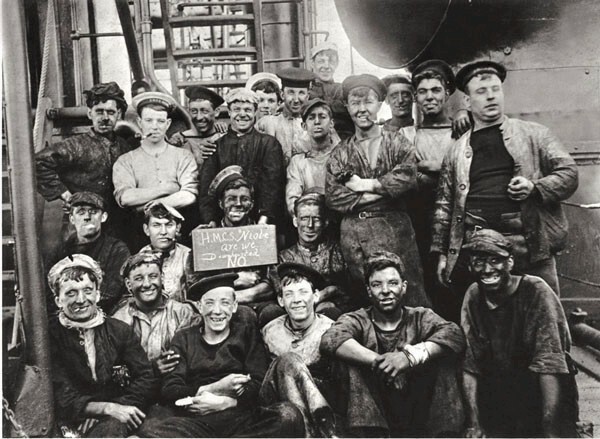 Covered from head to foot with soot and coal dust, these two stokers in their ragged overalls bear evidence of the arduous and demanding nature of their work, shovelling coal out of storage bunkers and into the boilers' hot fireboxes deep within the ship. 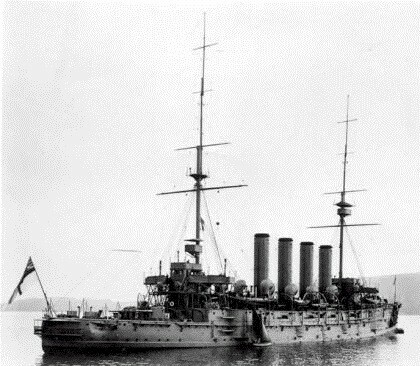 This photograph depicts HMCS Niobe soon after its arrival in Halifax from England in October 1910. Though expensive to operate, Niobe was useful for training the nucleus of a new navy, having been modified to accommodate cadets. It had also received a state-of-the-art heating system to protect its crew from Canadian winters. Niobe has boat booms (right and centre) swung out to accommodate the small boats coming alongside. The balcony-like gallery at Niobe's stern (left) led to a luxurious suite of rooms markedly different from the ones with mess tables and hammocks where sailors ate and slept. One of HMCS Niobe's gun crews fires a 6-inch gun during training. Niobe's effectiveness as a warship depended heavily on rapid and accurate gunfire, which required frequent training. 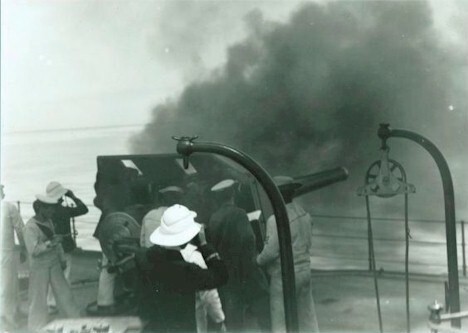 In this summertime view, officers (centre and left) in white pith helmets supervise the gun crew and watch for the fall of the shot. A sailor stands behind the gun (left), ready to remove the spent cartridge while others prepare to load the gun with propellant charges and projectiles raised on the hoist seen at right. Of the 22 sailors in the photo - 8 are wearing white hats (RCN) 8 blue hats (NRNR) and the rest wearing their old "scrub-bees".